Ammex IV GlovePlus powdered smooth industrial grade vinyl gloves are excellent for pros who need to avoid latex proteins. 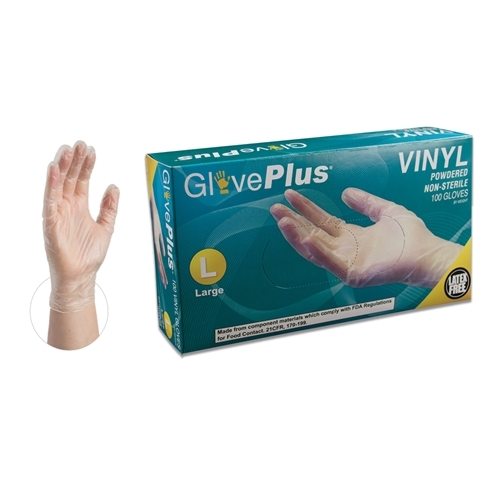 The disposable vinyl gloves are made from clear vinyl pvc and are 3 mils thick at the fingertips. They offer great dexterity and sensitivity for detalied work. Non-medical use only.